Lelore: Kiehl's Creamy Eye Treatment With Avocado - Why Did I Take So Long To Try It? Kiehl's Creamy Eye Treatment With Avocado - Why Did I Take So Long To Try It? My under eye area is my biggest skincare concern. I have puffiness, fine lines and a little darkness - the lot. So I tend to try lots of different eye creams, forever searching for The One. It's one product category I'm therefore never loyal to and I'll be the first to admit I'm a bit of an eye cream snob. I've always spent a bit more in the hope that I'll get better results. I love the Zelens and Dr Dennis Gross offerings, and as much as I like them both and do see improvement in my undereyes, I'm still on the hunt for a new HG. 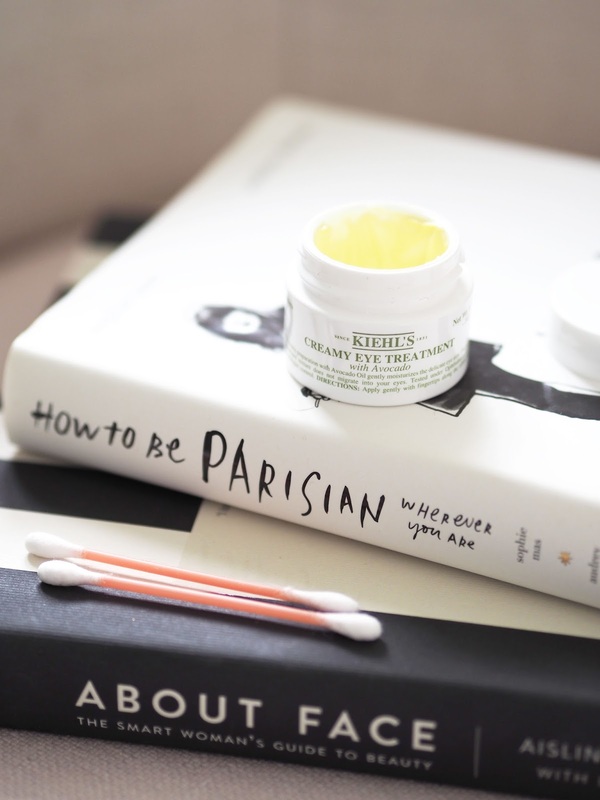 My eye cream snobbery caused me to overlook the Kiehl's Creamy Eye Treatment With Avocado. I mean, for £22, how could it outpeform my Zelen's £75 offering? Well, truth be told I was very wrong. The Kiehl's Creamy Eye Treatment With Avocado unsurprisingly contains avocado oil, beta carotene and shea butter; all of which are deeply moisturising, and the combination of all three help to keep the under eye area nourished and supple. For such a moisturising formula, it sinks in surprisingly quickly and doesn't leave any greasy residue. I tend to apply it quite liberally, under the eye and all around the orbital bone, making sure it's taken out fairly far on the outside corner of my eye. As puffiness is one of my eye concerns I was a little concerned initially that the thick texture of the Kiehl's eye cream might exacerbate this when used at night, but it really doesn't. My under eye area looks a lot brighter, and my fine lines are definitely less pronounced. When used in the morning, it makes a wonderful base and my concealer applies much better and creases less as the skin is so much more nourished. My moral of the story is not to judge a product by its price. This is cult for a reason! Have you tried the Kiehl's Creamy Eye Treatment before? If not, will you? The post Kiehl's Creamy Eye Treatment With Avocado - Why Did I Take So Long To Try It? appeared first on Lelore.